Free Pick up from kodaikanal bus stand. Welcome to the official site of Hotel Sunrise. 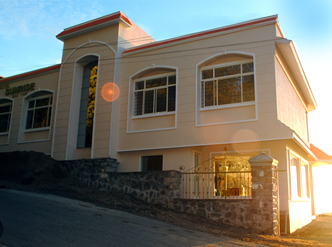 The verdant hills, the lush green valleys and the pristine natural beauty of the hill resort of Kodaikanal offers the urban tired souls a chance to resume their affair with Nature, to whom they truly belong.The hotel features a majestic exteriors and beautiful interiors for a pleasant stay.We offer a combination of luxury, amenities and reasonability, Hotel Sunrise makes for one of the best choices a traveler can make looking for the easy on the pocket and yet luxurious vacation. Try our services to get the impeccable experience of heart indulging moments and we promise you that it will be an experience to remember! We can make tailor-made holiday packages in accordance to the needs of each and every individual traveler and meet the customer's demands with apt expertise.Hotel sunrise has excellent light and ventilation whilst its elevated position means most rooms have superb views of the town and tea gardens below and the stunning mountain range above. 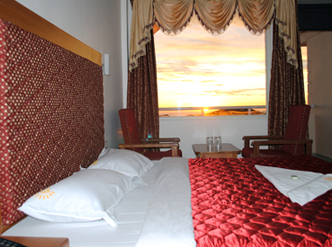 Hotel Sunrise is the hotel for you if you expect personal service and an experience outside the ordinary. Our guests should be both challenged and inspired by a stay with us. We always do our best to make every stay unique. 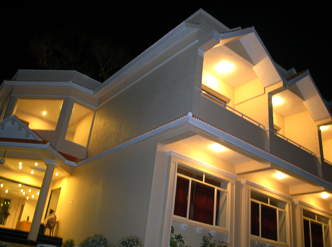 Discover one of the most trusted hotels in kodaikanal, with modern interiors and artful details. It is one of a kind hotel that delivers to its guests; an opportunity to experience the taste of luxurious hotel in a budget hotel rate.We know that, it is the room which influences the mood of a traveler is related to the place where they stay. So we furnished our rooms with all needed luxury amenities to make you feel like that you are at your own home. Each of our room includes television sets with satellite transmission, direct dial telephones, king Size Bed, clean and hygienic lavatory. Kodaikanal is one of the lovely hill station in Tamil nadu, it is inimitable rows and rows of silky pine trees sloping down to clear, cold streams, amazing views which suddenly disappear in foamy mist, people bundled up in sweaters and overcoats this is surely not everyone's mental image of Tami Nadu.The best thing about tourist spots in and around Kodaikanal is that you will not have to cover a lot of distance on road to reach them. Most of these spots lie within a 10km radius from the famous Lake at the center of the town. This will give you plenty of time to enjoy your stay rather than burning out in travel. You could wake up late, walk to your favorite lakeside restaurant, have masala tea, come back to hotel and then start your drive to tourist spots. We always search for peace and quiet in a hill station, not the noise and exhaust of factories. Do you have a weekend to spare... to be smothered with attention and care ?? If the answer is yes, just step into hotel sunrise where the amiable staff help make your stay comfortable candle light dinner and a Bonfire session will ensure the stay remains etched in your memories. Let it be any type of visit we will make you feel satisfied with our services and the facilities tailored specially for your personal needs. First is always special, So let us fill the romance in your first trip with your soul-mate. 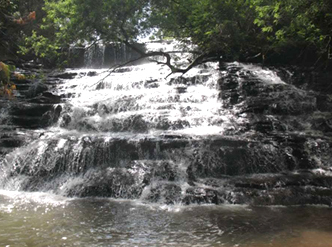 Our romantic honeymoon package is one of the best packages offered in kodaikanal. 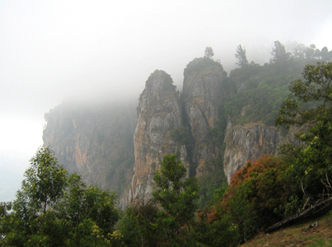 Honeymoon in kodaikanal is the most romantic idea for the newly wedded couples. 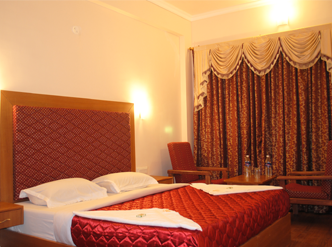 Hotel sunrise offers great deals and discounts on various Honeymoon packages. Aesthetically pleasing room with a touch of antiquity was very appealing and comfortable. Food was an absolute delicacy, particularly their South-Indian cuisine. 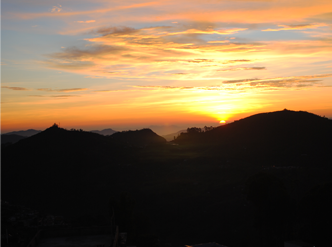 We are sure to re-visit Kodaikanal and Hotel Sunrise for our next vacation. Phone : +91-04542 241358, 245584.